API stands for Application Programming Interface and is a protocol allowing third parties to send to and receive data from an application. In the case of Jet.com, Jet.com has an API (view Jet.com API documentation) which allows sellers to programmatically send product, inventory and order data and receive order data. Why do I need to use Jet.com's API to sell on Jet.com? Service level. This is fundamentally the reason why you need to use Jet.com's API if you want to sell on Jet.com. In order to sell on Jet.com's marketplace, sellers are required to communicate product, inventory and order data though Jet.com's API. The reason is because Jet wants to make sure sellers are able to provide an extremely high level of service as it relates to order confirmation and product data. Most fundamentally, Jet.com requires sellers to acknowledge orders in 15 minutes. This means, if you receive an order at 3:01am, by 3:15am you need to be able to confirm with Jet.com your ability to fulfill the order. A seller without an API would be asleep at this time and therefore unable to provide Jet.com with confirmation. A seller that has a software program that automatically checks to see if inventory is available and automatically responds to confirm is a much more reliable partner. Ultimately, shoppers receive a significantly higher level of service when data displayed on Jet.com and order communication is facilitated in a programmatic manner. What is the best way to sell on Jet.com using their API? You can hire a developer to connect your data to Jet.com via Jet.com's API. This would be an expensive and unreliable proposition because you would need the developer to continuously maintain your custom integration as Jet.com introduces changes to their API. The most cost effective and reliable method is to work with anofficial integration partner. 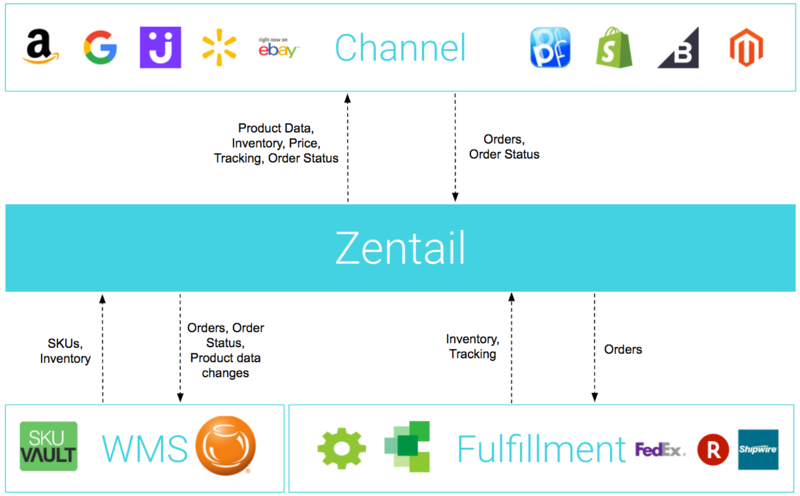 Integration partners, including Zentail, provide a web interface to connect your data with Jet.com via Jet.com's API. Ultimately, integration partners use your unique Jet.com API credentials to feed data to and receive data from your Jet Partner Portal. You can think of the Jet Partner Portal as Jet.com's equivalent to Amazon Seller Central and Walmart Seller Center. The value of integration partners is that they have expertise in software development and they have teams of developers that focus on optimizing your ability to communicate data with Jet.com. The biggest mistakes sellers make is working with unofficial Jet.com integrators and the cheapest official Jet.com integration partners. If you have any questions, click the chat icon the the bottom right and we'll be happy to help.